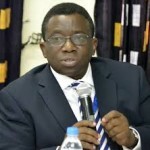 The Minister of Health, Professor Isaac Adewole, has inaugurated a statutory committee of the 2014 National Health Act to ensure adequate coordination and implementation of the provisions of the act. Director of Media and Public Relations in the Federal Ministry of Health, Mrs. Boade Akinola made this known in a statement issued in Abuja. Prof. Adewole said that the committee is to drive the process of achieving Universal Health Coverage by making healthcare services accessible, affordable and available for Nigerians in an equitable manner. The minister said that the act provided key actors of the health system with clearly defined roles and responsibilities. Prof. Adewole explained that the act also provided minimum package of healthcare services for all Nigerians with a predictable and sustainable financing stream. Responding on behalf of the committees, Chairman of the National Health Consultative Committee, Professor Eyitayo Lambo pledged that the committees would carry out their mandate satisfactorily. He said the committee would assiduously move the health sector forward. The statutory committees include National Health Consultative Forum, National Tertiary Health Institutions Standards, National Health Research Ethics, and National Health Research. Others are National Drugs Formular and Essential Drugs Review, and National Independent Tissue Transplantation.